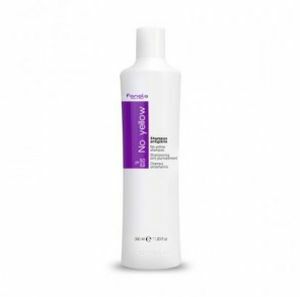 Fanola No Yellow Shampoo (350ml) is formulated for grey, super-lightened or decoloured hair. Featuring strong-violet pigments, this intense shampoo tones down unwanted yellow, light blonde or streaked hair. No Yellow Shampoo neutralises yellow reflections driving from pigment residue after bleaching, lightening and the oxidising action of the elements. Directions of use: Apply to wet hair, massage gently and rinse.